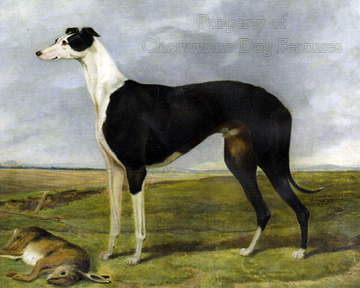 Once coursing was banned the breed of Greyhound was destined for eventual decline. As a pedigree breed, exhibited in show rings, it has lost favour: 212 in 1926, 52 in1956, 49 in 2005 and 30 in 2012. As such it is an endangered species. On the racing track, as the sport declines, Greyhound numbers fall. 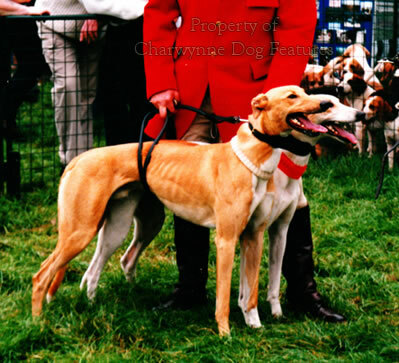 There are now more Greyhound lurchers than purebred Greyhounds; the latter have no real purpose - we need a new form of the Waterloo Cup, the Blue Riband of sighthound tests. This new form could not involve the pursuit of live hares, but rather as on the track, the pursuit of a mechanical 'hare', in this case a specially-designed drone. This 'hare' could be chased at great speed by a brace of hounds, be manoeuvred across country, twisting and turning, in a competition run, roughly, under the old National Coursing Club's rules. 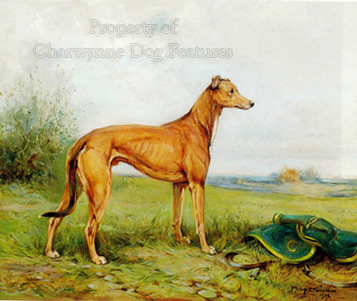 All the sighthound breeds could compete; each one would benefit hugely from a cross-country trial of their physical soundness, a far more searching examination than any conformation show. There are plenty of rich betting firms to sponsor such a trial. The once massively-contended Waterloo Cup could be awarded once again. The sighthound breeds came to us from the sporting field, from being used as coursing hounds; they will only stay with us as real sighthounds if we retain a sporting use for them, whether it’s on the track, on the lure or after a drone. We owe a great deal to those coursers who bequeathed such remarkable hounds to us; we will only honour their memory by using them. 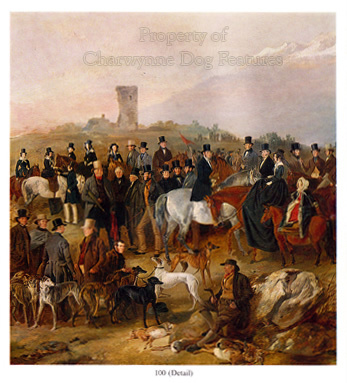 The very expression ‘companion dog’ hints at the dog being there for our benefit but to regard a sighthound purely as a pet is to insult its distinguished heritage; we really must use them. I think it is fair to claim that coursing, all over the world, shaped the sighthound breeds of today into formidable canine athletes. To maintain the sighthound’s long history in providing excellence is going to prove a challenge. 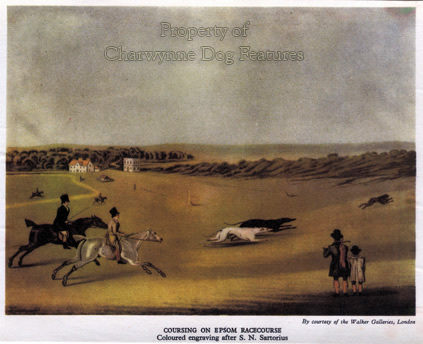 Lure racing is valuable exercise; track racing tests sheer speed and bend handling skills but coursing was the supreme test. 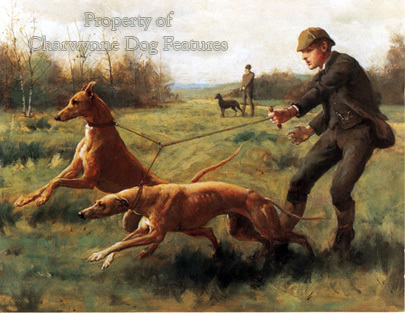 All sighthounds need to run, but the pursuit of prey at speed in the hunting field is their instinct. Out of coursing came the urban equivalent, track racing. 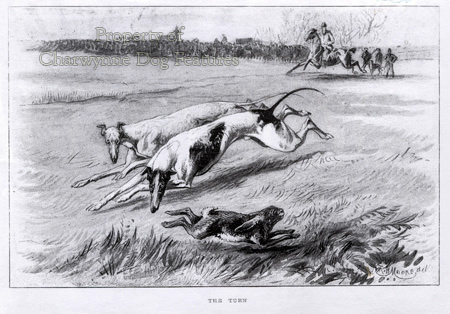 As long ago as 1876, mechanical lure racing was conducted, at first as a spectacle at a sporting show, when two Greyhounds pursued an artificial hare raced along a groove in the track, over a 400 yard grass track. 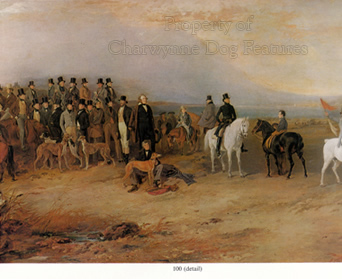 The first race was won by Charming Nell, owned by Edward Dent, breeder of the famous coursing Greyhound Fullerton. But it was interest in America which spread back to Britain, so that from the mid 1920s this new sport took off. In 1926 the average crowd at a track meeting was 11,000. By 1932, the attendances had reached 20 million. With big money now accruing from the sport, the tricksters soon moved in, with doping scandals rife. The National Greyhound Racing Club has worked hard to drive out match-fixing and dog-faking. In their account of the first London greyhound track meeting, The Times of June the 21st 1927, reported: “The card consisted of eight races. 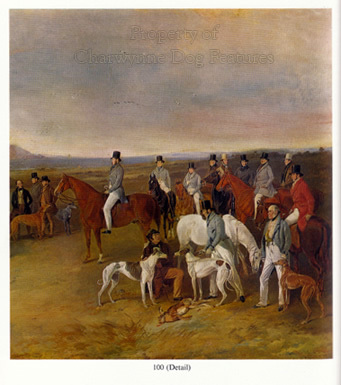 The finishes, perhaps, were not quite so close as usual, but cleverness and experience told nearly every time, and the keenness and gameness of the dogs were indicated, first, by their howling and pawing at the doors of the starting box and, then, by their refusal to give in so long as a breath of wind remained to them. 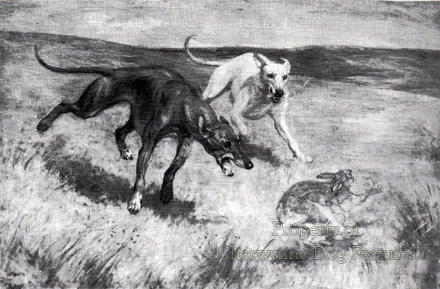 Trainers already tell stories of the older dogs’ hatred of being beaten by another dog – a hatred that far transcends the desire for the mechanical hare’s blood.” It is unwise to underestimate the powerful instincts of the sighthounds, especially their eagerness to run after a moving quarry and, most unwise to under-rate the sheer competitiveness of the speedsters. However aloof their demeanour, however gracious their movement and however reserved in nature, these dogs are ‘hot-wired’ to run and to win! We are now faced with an unprecedented challenge to our sighthounds, the law of the land is against the function they were bred and used for - for several thousand years. When a highly-regulated field sport becomes proscribed, unregulated illegal hunting, with no respect for the quarry, replaces it. This will be a disaster for our wildlife and a major setback not just for sighthounds but for the quarry species too. But in the time it takes to realise legislative folly and then restore sanity to the scene, what can we do to preserve the sighthound skills? Track racing, lure-chasing and drone-pursuit matches need to be supported; these superlative hounds need to be tested, if only to identify the best breeding stock. Every lover of the sighthound breeds and lurcher fancier needs to seek outlets for their hounds; the regulated cross-country pursuit of mechanical hare-drones could provide the best answer.